As we hurtle towards the end of 2013, we wanted both to wish you season’s greetings and also to give you a little round up of what we’ve been up to this year. 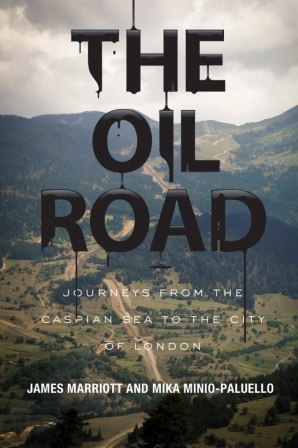 If you’ll pardon a little plug, the paperback edition of The Oil Road – Journeys from the Caspian to the City of London would fill any self-respecting stocking. We’re selling them for £6 plus p&p – that’s less than half the retail price. You’d need to order with us by the 17th of December for it to arrive in time for Christmas. • Our investor engagement work helped stall Arctic drilling. Our ground-breaking research, Russian Roulette, was widely sought after by investors who are becoming increasingly wary of dangerous drilling, thanks to Anna Galkina’s research on the Russian Arctic. 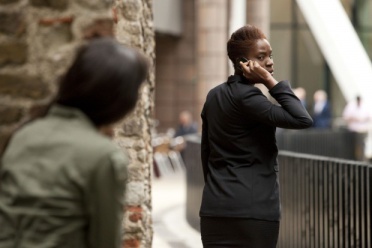 • Mel Evans created the immersive theatre experience Oil City – a “spy thriller for the post-occupy age”. Set in and around the offices in the Square Mile, audiences were led through a tangled web of corruption involving BP, RBS and the UK government. • Kevin Smith and Anna Galkina produced Knowledge and Power together with student network People & Planet and 350.org, revealing the huge financial influence that the fossil fuel industry has in UK universities, helping boost the momentum of the current divestment campaign. Oil City – a “spy thriller for the post-occupy age”. • We supported frontline communities in Egypt in fighting off BP from building an $11 billion gas plant next to their homes. Mika Minio-Paluello, based in Cairo, worked closely with revolutionary social movements, journalists and local activists to share skills and lessons from successful struggle. • Emma Hughes challenged oil lobbyists while giving evidence to the Environmental Audit Committee over the hidden fossil fuel subsidies. Her earlier fact finding tour of Azerbaijan helped build new links for the campaign against BP’s proposed new Euro-Caspian Mega Pipeline. The stark links between oil and repression were challenged in our parliamentary event Fraud, freedom, and fossil fuels: Azerbaijan after the election. • Sarah Shoraka recently visited the Niger Delta to connect with social movements and to research oil pollution and human rights abuses. 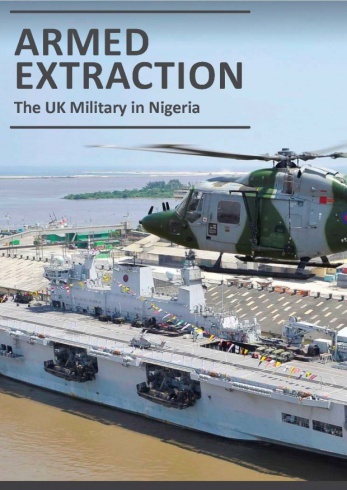 Her publication Armed Extraction exposes the UK Government’s role in driving conflict and human rights abuses in Nigeria through military aid and weapons sales. 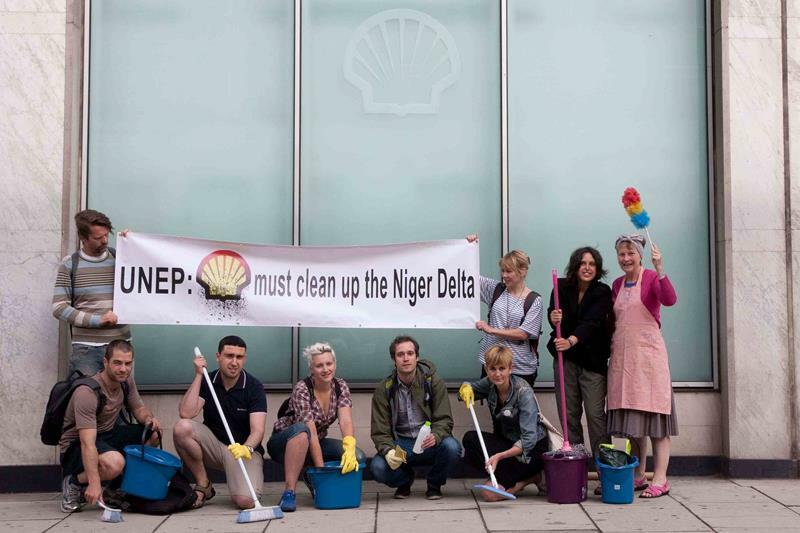 • We continued to pressure arts institutions to turn their bank on dirty oil money. Earlier in the year when anti-fracking activist Yoko Ono was curating at the Shell-sponsored Southbank Centre, Kevin Smith revealed the extent to which Shell was involved in fracking all over the world. We helped Tate Members make public statements when they resigned last week in protest over BP sponsorship, and we launched a legal challenge to make Tate disclose how much money it’s getting from BP. • Over September and October, three Platform staff traveled across North America to promote The Oil Road as well as learn from colleagues and friends there. From the series of blogs they produced you can read how James travelled across the ocean by container ship and studied the history of mining and struggle in Virginia; how Anna was inspired by the stories of Richmond, California standing up to Chevron’s power; both of them appeared on Democracy Now! to talk pipelines, money and democracy. You can also read about their experiences with resistance and refineries in Houston, as well as the inspiring fight against the Line 9 tar sands pipeline in Toronto. Our work is made possible by support from so many differtent people, from those who share our outputs on social media, to those who have become Platform Sustainers. We’re really excited about meeting everyone at our next Sustainers event in January. The Platform team will present their plans and gather ideas from our Sustainers. If you missed the opportunity, but would like to join us please get do get in touch with [email protected], or visit our donate page to make a regular donation. The last meeting we held with a group of Sustainers turned into one of our most inspiring events. We’re seeking 500 people to become part of a growing network of people who support our work by donating between £5-20 per month. 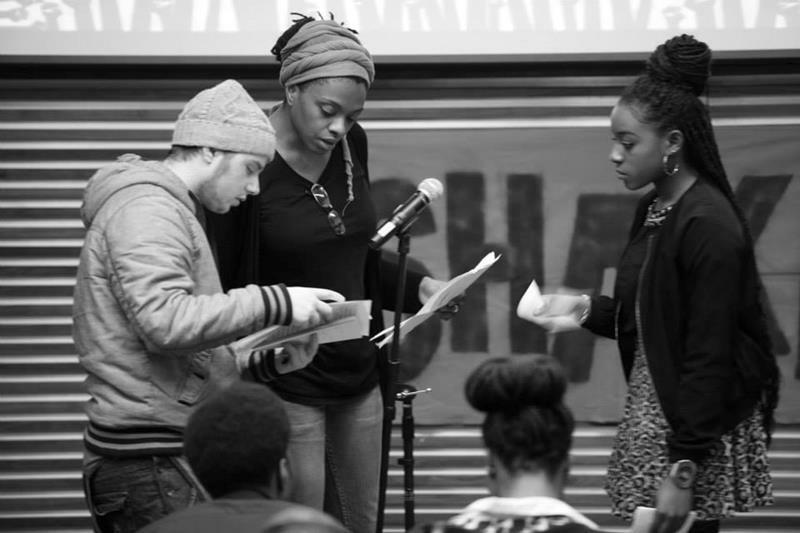 The monthly donations are so helpful in allowing us to plan our work with more confidence, and meeting with our Sustainers acts as two way mirror between Platform and our supporters, strengthening and expanding the work we do. Thank you. @platformlondon: Such a shame that @BBCPanorama isn’t including fossil fuels along with the ethical investment “no no’s” of alcohol, tobacco & arms.